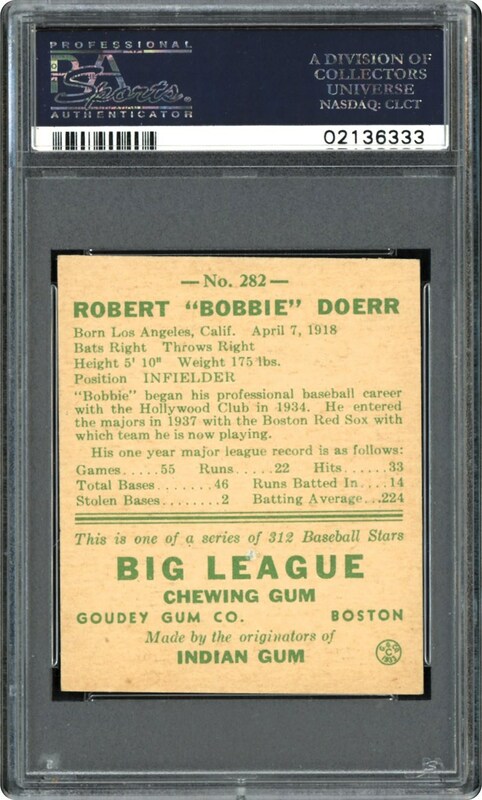 Any high-grade card of star 2nd sacker Bobby Doerr is worthy of serious attention, let alone this 1938 Goudey PSA NM/MT 8 prize that has only been surpassed by a single PSA encapsulated copy! His leadership qualities along with his superb batting and fielding prowess enabled him to earn eight all-star nods and eventual enshrinement in Cooperstown. 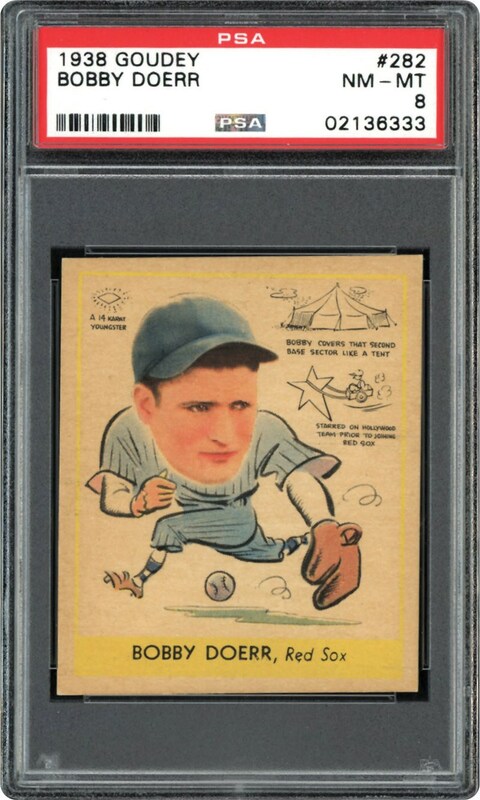 Synonymous with Doerr himself, the card portrays world-class attributes including a breathtaking fielding pose emulating crystal-clear clarity, immaculate-like surfaces, sharp corners, and excellent centering courtesy of the well-positioned yellow frame. A winner in every conceivable manner, this Doerr masterpiece clearly stands as one of his most imposing cardboard heirlooms!